Holly realised, aged 10, that drums had a deep-rooted effect on people like no other instrument. 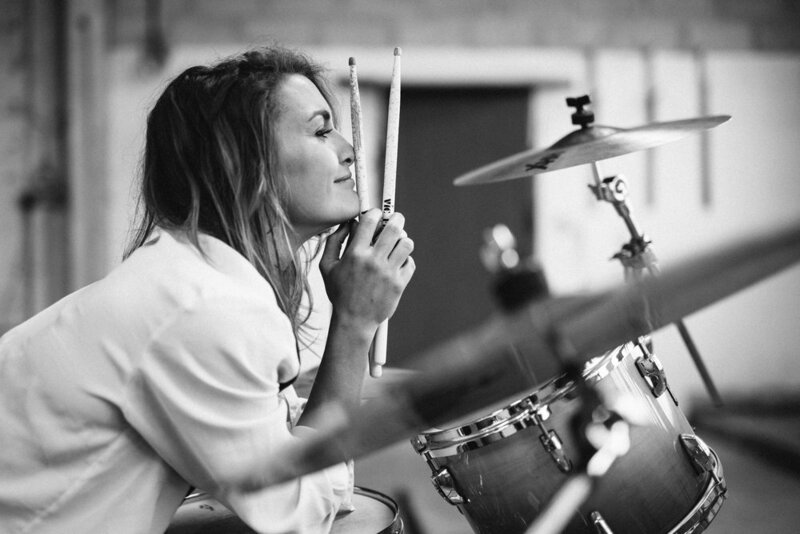 She set up her first drum kit in a barn in Devon (UK) and with the help of supportive parents, extraordinary teachers, deaf neighbours and a habit of saying yes to every new challenge, she picked up her first class honours degree in music at Southampton University and headed to London where she cut her teeth at the forefront of the popular music scene. Holly’s signature style is a rare blend: her heritage in big band jazz, funk and fusion has gifted her a focused listening ear; a love of 60s and 70s rock and soul has kept her playing uncluttered and with something to say; and the addition of latin percussion in recent years has deepened her understanding of groove and interaction, creating a unique style with musicality, simplicity and groove as its cornerstones. 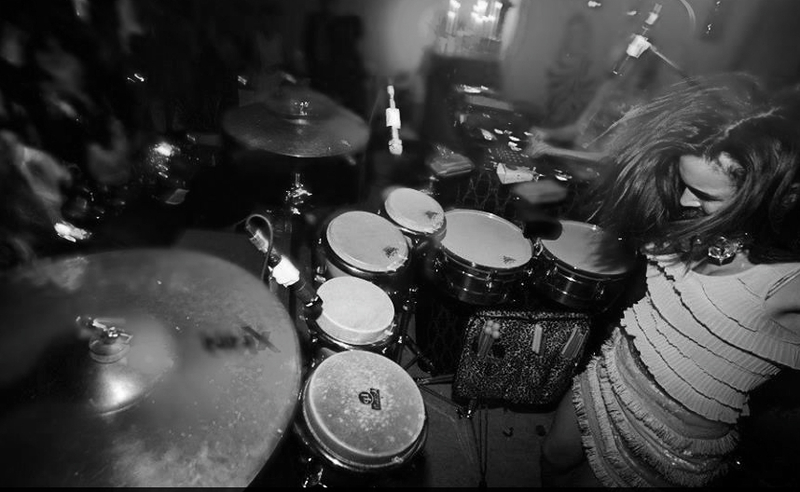 Holly is not your average professional drummer. She is just as at home deep in a sweaty progressive house set in Ibiza performing with Idris Elba as she is delivering the iconic percussion lines of Hans Zimmer’s film scores in the world’s arenas. Variety keeps Holly’s inquisitive mind fresh and her style eclectic, from creating a duet with a contortionist at the Singapore Grand Prix to performing live drum and bass at Glastonbury with The Telegraph’s top ten festival highlights The Correspondents or performing with two contemporary dancers for Nike’s new product range. Holly has recently ventured into session work, recording those iconic opening-sequence bongos in Lorne Balfe’s Mission Impossible - Fallout, drums for folk rock singer Frank Turner’s latest project and new practise material for the UK’s most prestigious exam board ABRSM. She travelled to Kenya in 2018 with the British Council & East Africa Arts to perform with Kenyan and Ugandan musicians at the Nairobi Jazz festival and took a solo trip to Cuba to deepen her understanding of the country’s treasured percussive heritage. She is always open to new projects as well as consulting and featuring in films and selected ad campaigns so feel free to get in touch here. Holly swears by her beloved Sabian Cymbals & well travelled Protection Racket cases.